An intuitive model for the formation of memories (the two streams hypothesis) that has prevailed for the past decades in memory research is that what is remembered from an event (a walk to a park, a birthday party, a wedding ceremony, etc.) and where this event took place are first processed by distinct brain pathways at the cortical level to ultimately be combined at the level of another brain structure below the cortex called the hippocampus. This well-accepted view is essentially based on the neuroanatomical connections existing between the cortex and the hippocampus, whereas experimental evidence and specific mechanisms for such an integration are actually lacking. Contrary to this dogmatic view of information processing in the hippocampus, we have shown in the article The memory for time and space differentially engages the proximal and distal parts of the hippocampal subfields CA1 and CA3 that the spatial and the non-spatial dimensions of memories are not necessarily integrated in the hippocampus, but that they can also be processed by separate subnetworks within this brain structure that involve parts of both the hippocampus subfield CA1 and CA3, depending on the importance of each information — i.e. whether the highlight of the memory is “what” has happened or “where” it happened. For example, should you have been on “Etna” when it erupted, one might expect it to be beneficial to achieve the fastest ‘behavioral response’ next time you wander there (i.e. ‘running away’) for the “where” information NOT to be combined to the information of whom was with you, given that it was clearly not the most salient part of the event). Even more importantly, we reported that the temporal component of the event (‘when’ the event took place) was selectively processed by the part of the CA1 subfield the closest to the midline of the brain. To obtain these results, mice were placed into an arena to explore 4 identical Christmas bells for 10 min. After a 50 min delay, they were returned to the same arena with a new set of 4 identical Christmas that they could explore again for 10 min. Following a second 50-min pause, memory for the spatial arrangement of the objects (‘where’ the objects were originally placed) and the temporal aspect of the task (‘when’ the objects were presented) was assessed by returning animals to the arena with 2 of the bells that were first encountered (“old” objects: one at the same location the other displaced) and two of the bells that were later explored (“recent” objects, placed at the same location) and by measuring the time mice explored each object taking advantage of the fact that rodents are spontaneously attracted by novel settings/novelty, i.e. if mice remember the location of each object. They will explore more objects that have been displaced than those that were not and explore more objects that have been explored long ago rather than recently as they appear more novel (see schema of the behavioral paradigm below). Importantly, similar paradigms are used in humans using eye tracker systems. Brain activity occurring during the processing of the temporal and spatial information was imaged by detecting the RNA of the gene Arc that is linked to synaptic plasticity and memory demands in neurons and visualized using fluorescent microscopy (see ‘Arc imaging’ picture above; in blue: DAPI stained neuron nuclei of the hippocampus subfield CA1; in red: the activation reporter Arc. The arrows show neurons involved in retrieving the memory, the arrow-heads show neurons that are not). 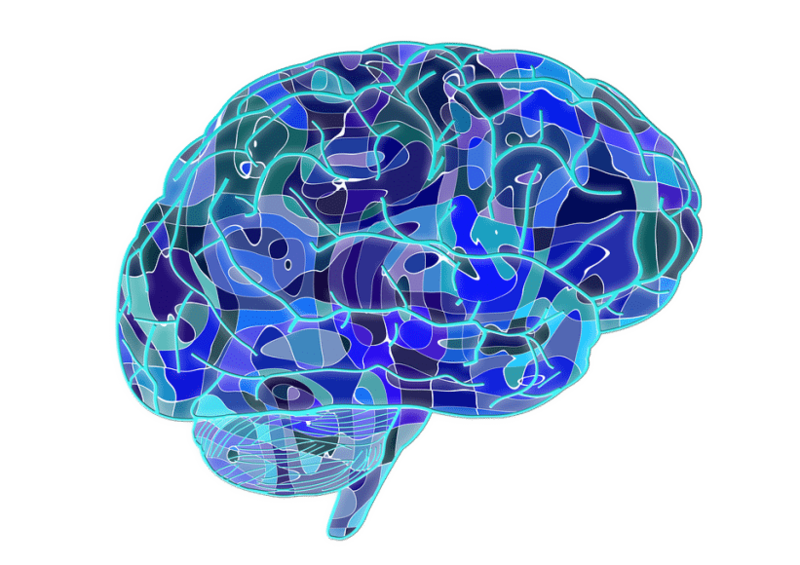 This concept of segregated processing of spatial and non-spatial information within the hippocampus is changing the way memory researchers are looking at memory function. 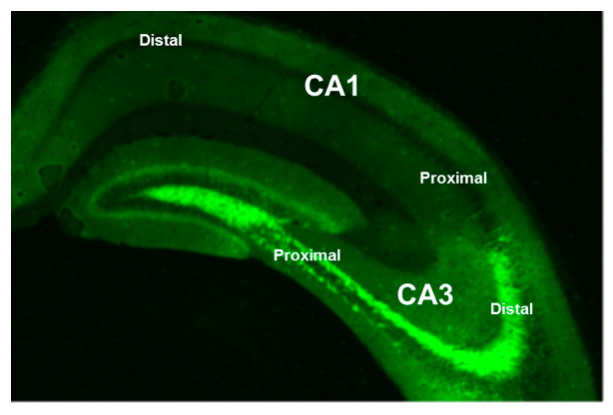 We have shown that temporal information is specially processed by the part of CA1 close to the brain midline (i.e on the left of the above picture): distal CA1, the same part of the brain that together with proximal CA3 is preferentially engaged for the processing of “what” information, while the counterpart subnetwork distal CA3- proximal CA1 is especially sensitive to spatial information. The medial temporal lobe of the brain is crucial for memory in humans and animals, and its subareas (the perirhinal and postrhinal cortices, the medial and lateral entorhinal cortices and the hippocampal subfields: CA1, CA3, DG) have been recently suggested to contribute to different aspects of memory function. Our group focuses on elucidating the specific role of these distinct areas in the encoding and the retrieval of spatial and non-spatial memory across sensory modalities. 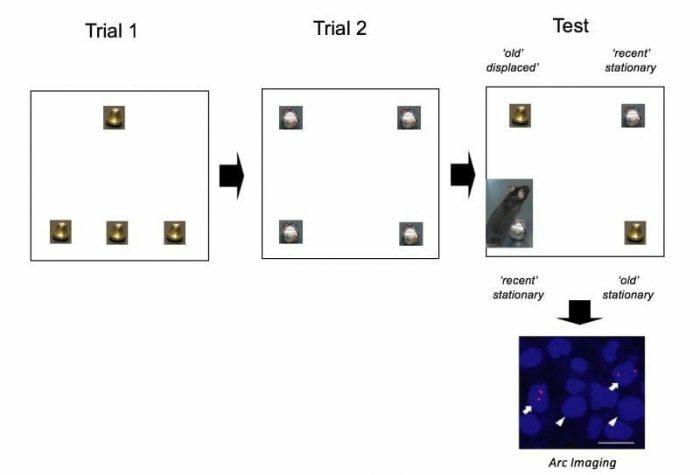 For this purpose, we use new translational (standard human recognition memory tasks adapted to animals) and standard rodent behavioural recognition memory paradigms combined to state-of-the-art molecular imaging and lesion techniques. To further study the neural substrates of memory function, we also currently develop fMRI behavioural memory paradigms in awake rats, and put together human behavioural tasks to evaluate memory deficits in patients suffering from depression and post-traumatic-stress disorders.